We Think You’ll Love It!!! 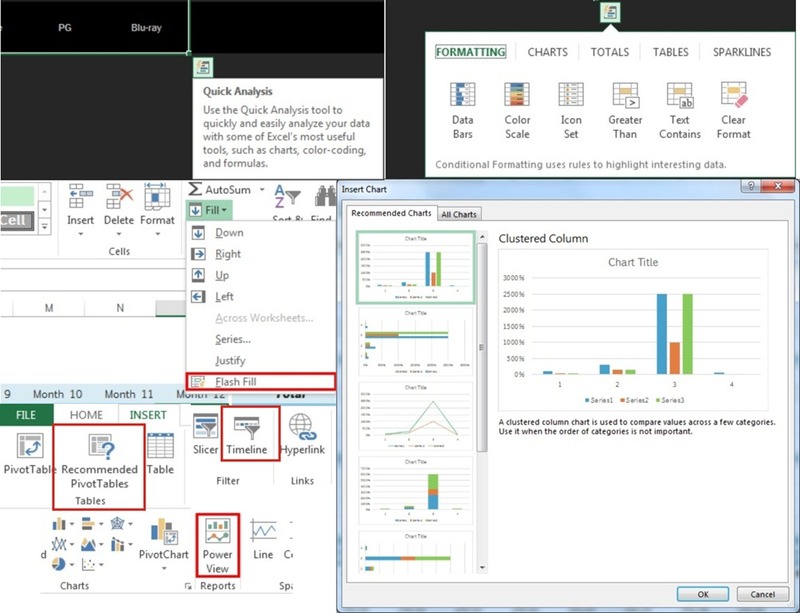 In this post I will mention briefly about the new features that are available in the New Office. 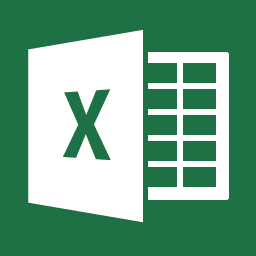 As you all probably know the latest version of Microsoft’s Office 2013 for Customer Review has been released and is available for download for Windows 7 and Windows 8. 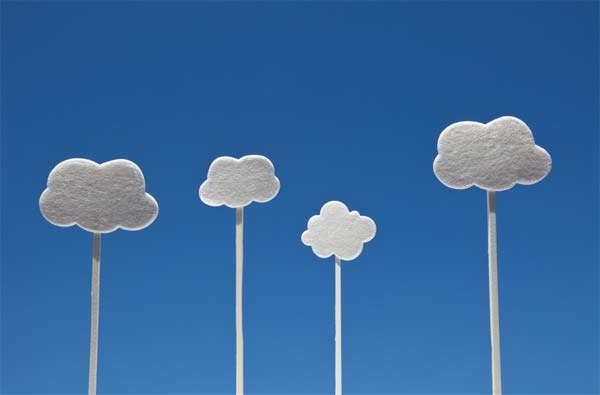 Cloud Power: Allows users to work, share and collaborate among each other anywhere on any device. Whatever settings we have made and even the applications that have been installed will be available to us wherever we go with all personal settings, making things done quicker and efficiently. 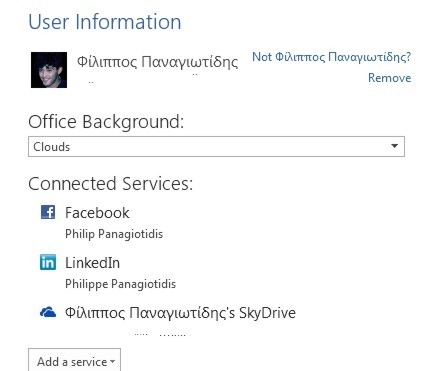 SkyDrive: Home users can save files straight to SkyDrive, meaning that we can access our documents from any computer at any time. 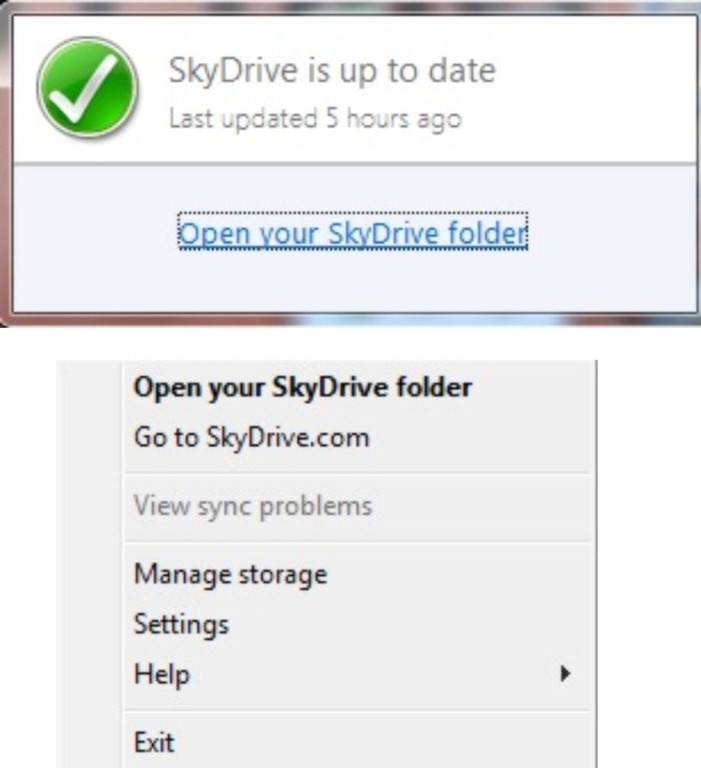 Our files saved up to date by using SkyDrive. We can access our files from virtually anywhere and almost on any device. We can share and work together with others. 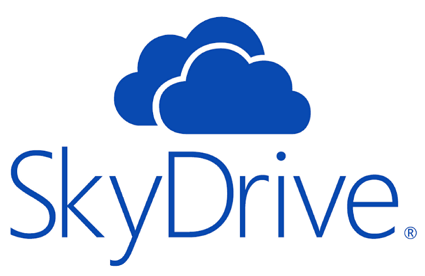 Our files are saved to SkyDrive folder on our PC and online at SkyDirve.com. 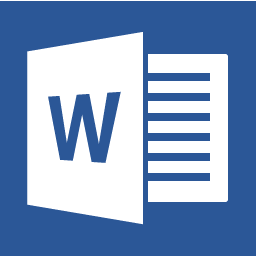 If we are working offline, our documents will sync the next time we go online. Social: We can easily view mails, chats, status, updates, pictures, and with integration with Facebook, LinkedIn and other social network services. 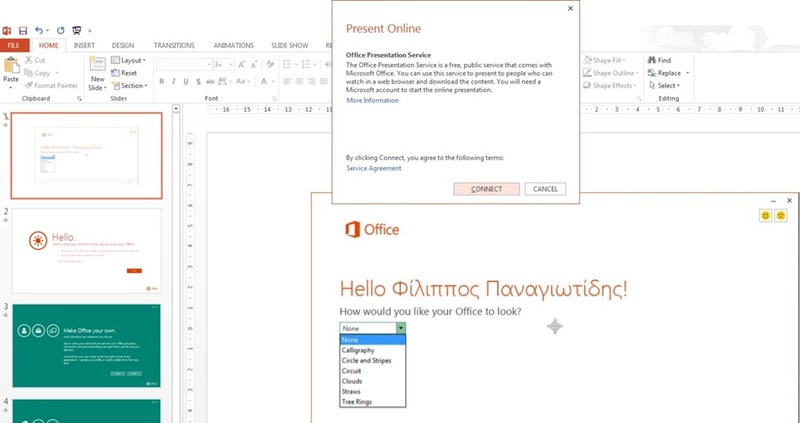 Sign in Option: In the top right corner of every application in Office 13, we are provided with the ability to sign in to our Microsoft account and our personal settings. Office programs, documents, are right there the way we left them. 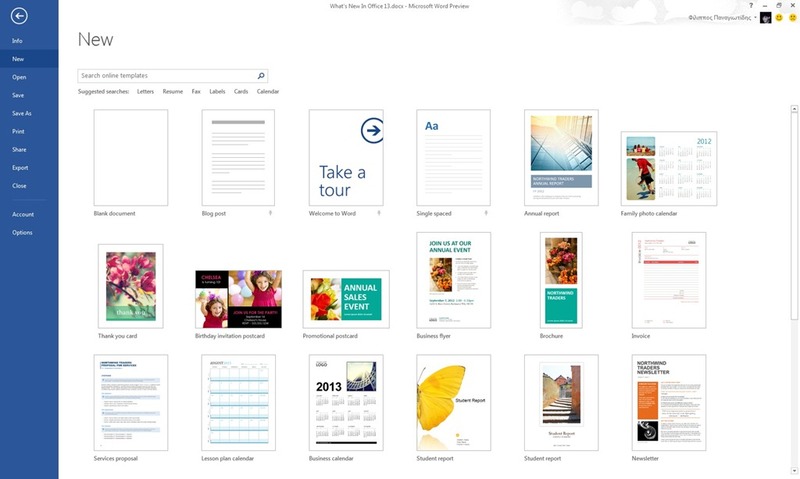 New User Interface: The aesthetic style reminds us of Windows 8. 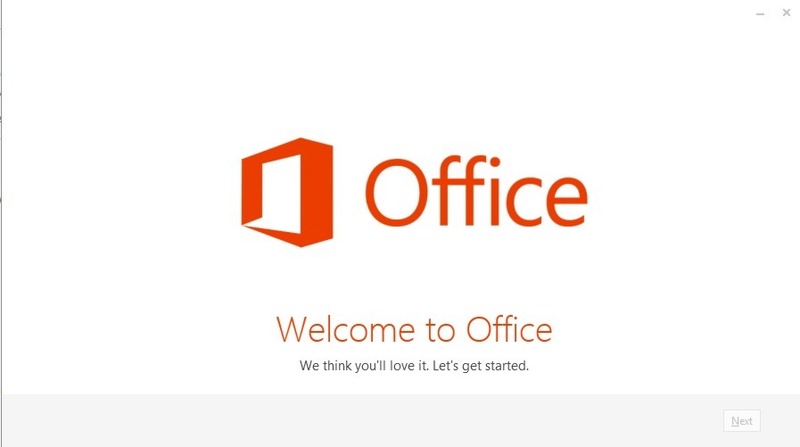 All the applications even though are quite similar to the ribbon in Office 2010, makes us feel that we must have Windows 8 operating system in order to make it feel good. 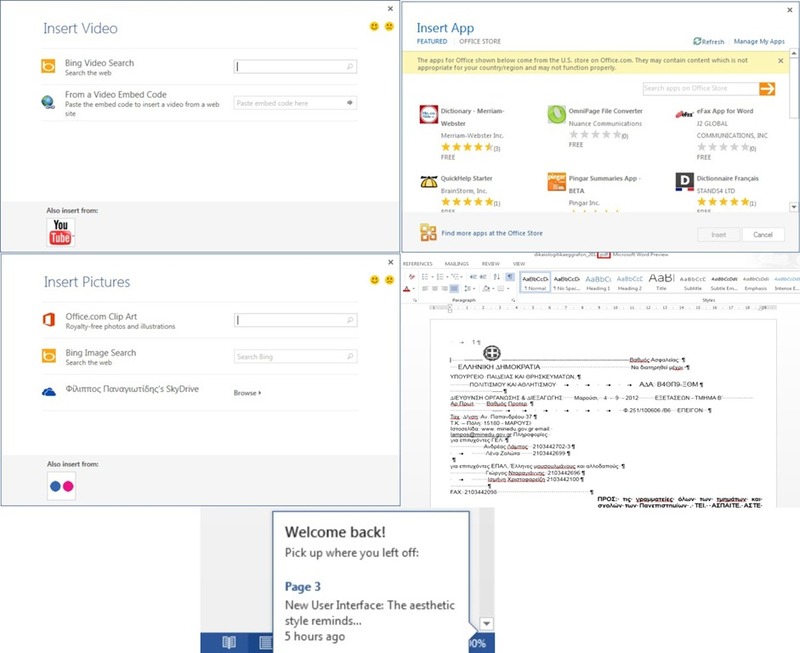 In further posts I will describe hot new features in details for most of the applications.